If you’ve arrived on our site, the chances are reasonably good that you either have no CCTV at present, or you have an old system that is no longer delivering the results you want. There is also a good chance you’re wondering just how expensive a new CCTV kit would be to buy for your Blackpool property. Pricing covers a huge range of kits, so there is a good chance there’s one designed to fit your needs. Additionally, you’re about to discover why today’s CCTV systems don’t need to be expensive. Today’s cameras provide HD viewing, sharp images, 24/7 recording, pan-tilt-swivel capabilities… you name it. So, you may find you need fewer cameras than you currently have. If your old cameras are fixed in one place and cannot be rotated to take in a larger area, you can replace them with cameras you can control from wherever you are in the world. Quality matters far more than quantity today, and this is borne out by the huge array of top-quality cameras around. You will typically get a cheaper deal when you go for a kit, and it means you will have everything you need to get that kit installed and up and running. You can also buy a kit and get someone else to install it for you if you like. Suffice to say, kits come in a range of prices, so you need only find one that will work well for you and is reasonably priced, too. 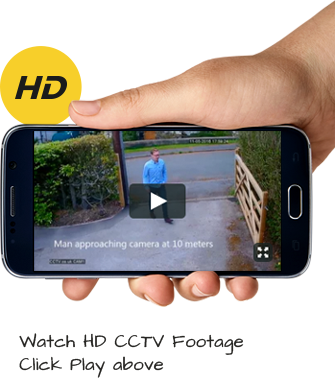 Is it time you discovered more about modern CCTV systems? If you expected to pay a huge sum for CCTV, think again. There are options priced within everyone’s range, from someone with a small property that only requires two cameras, to someone with a large business premises to protect. We’ll help you find the best kit and solution for you, and it’s as easy as calling 0800 211 8310 free of charge, too. If you’ve got any questions, we’re only too happy to provide some answers so you can buy with complete confidence.